The crash took place just before noon. 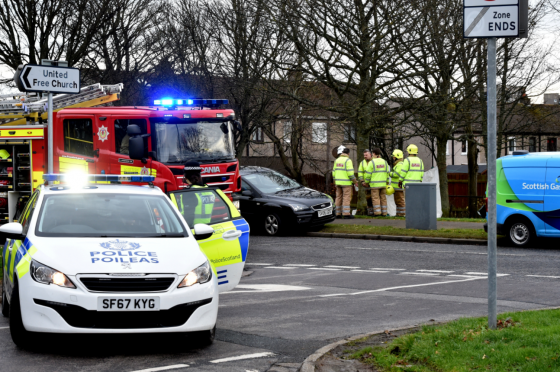 Police were called to the scene of the incident at Provost Fraser Drive, close to the junction with Kettlehills Crescent, at around 11.50am. The woman had been driving a blue Vauxhall Corsa, which had been involved in a collision with silver Vauxhall Astra before her vehicle left the road and collided with a tree. Her next of kin have been informed, and no one else was injured in the incident. Police have asked anyone who saw either of the vehicles prior to the collision to phone them on 101. Road policing sergeant Rob Warnock said: “Our thoughts are with the family and friends of the woman who has sadly died at this time. “The road has now reopened and we would like to thank members of the public for their patience while the road was closed to allow for collision investigation.